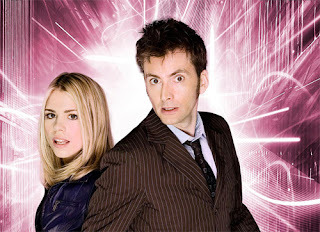 It has been confirmed that David Tennant will attend Starfury Conventions' 'Midnight' alongside Billie Piper in December. The Event, which is taking place at the Birmingham Hilton Hotel in December on the weekend 14th-16th, is going to be a celebration of David Tennant's era of Doctor Who along with the spin-off series Torchwood. Both David and Billie will be signing autiographs, posing with fans individually and together, doing a guest talk and attending the closing Ceremony at the convention. As well as David and Billie, other guest also confirmed are: Gareth David Lloyd, Kai Owen, James Swallow and Tony Lee.